Digital communications technology has immeasurably enhanced our capacity to store, retrieve, and exchange information. But who controls our access to information, and who decides what others have a right to know about us? 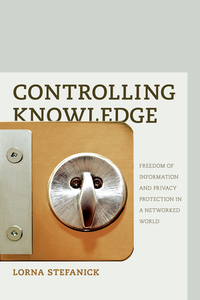 In Controlling Knowledge, author Lorna Stefanick offers a thought-provoking and user-friendly overview of the regulatory regime that currently governs freedom of information and the protection of privacy.Aiming to clarify rather than mystify, Stefanick outlines the history and application of FOIP legislation, with special focus on how these laws affect the individual. To illustrate the impact of FOIP, she examines the notion of informed consent, looks at concerns about surveillance in the digital age, and explores the sometimes insidious influence of Facebook. Specialists in public policy and public administration, information technology, communications, law, criminal justice, sociology, and health care will find much here that bears directly on their work, while students and general readers will welcome the book's down-to-earth language and accessible style.Intended to serve as a "citizen's guide," Controlling Knowledge is a vital resource for anyone seeking to understand how freedom of information and privacy protection are legally defined and how this legislation is shaping our individual rights as citizens of the information age. 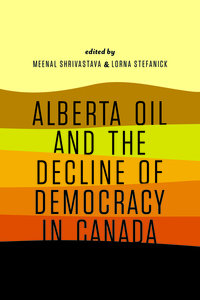 Lorna Stefanick is an associate professor in the Governance, Law, and Management program in the Centre for State and Legal Studies at Athabasca University.and in Calgary, the first of which resulted in the book Hiding the Audience: Arts and Arts Institutions on the Prairies. Kaye divides her time between a farmstead outside Lincoln, Nebraska, and a house in Calgary, so that she may always be close to the prairie land that drives her research.Face the North Wind (1975). This manuscript came to light after his passing in 1999. CH_4 Sharing Medical Information: Antidote or Bitter Pill?